Wow! puddin is such a "Fashionista". Come on! Give an Asian some love! lmao ..I think my flannels were made in China, does that count? No. My heritage is from Taiwan, we cannot love Chinese products. Angie Swindell — the 29-year-old pharmaceutical rep from Virginia — was unanimously booted from the Big Brother house last night. EW.com talks to her about her passionate exit speech (''I wanted to individualize everyone''), her thoughts about Jessie (''a very, very sweet individual''), and what she really thinks of Libra. ENTERTAINMENT WEEKLY: Wow, Julie Chen faked you out there at the end. Did you think Jessie was going to get voted out? What did you hope to accomplish with that final speech? I really didn't have a lot of pull as far as convincing Keesha, who had an emotional attachment to her alliance. She had said multiple times that she wasn't there for the money. With that speech, I wanted to individualize everyone, to basically let them know that they have to start thinking for themselves and play for themselves. April and Libra are predominantly the glue that holds everybody together. They've infested the house. I had the best interest of all the players. An eight to zero vote. Wow. I had conversations with my alliance and told them they need to look out for themselves. A sympathy vote for me wouldn't benefit them moving ahead. In last night's episode, the producers edited it in a way that made it look like there was a tidal wave of opposition towards Jessie. What happened in the house in the last two days? Jessie is a very intense person who's not afraid to speak up and share his point of view. When we got nominated, that alienated the four of us [Jessie, Michelle, Memphis, and Angie] from the others. When we didn't win the POV, we were stuck between a rock and a hard place. As far as my strategy went, I tried to get Jessie worked up to get the target off my back. But Keesha and Libra really didn't like me. They play emotionally, not strategically. No matter what Jessie did, I didn't have a prayer. I was not trying to cater to their every need, sucking up to them, and that probably bothered them. I know April had mentioned that to everybody. You started crying as soon as you sat down on the couch with Julie. What was going through your mind? Being in the house was stressful, especially over the last couple of weeks. [The people in my alliance] were dubbed as outcasts. Once I sat down with Julie, I went ''Whoa, this is really over.'' I had kept my composure for a long time. Maybe you shouldn't have worn Brian's knit cap. I stole that hat from Brian on the third day. I found out that it bothered the girls, and my passive-aggressiveness came out and I wore it to annoy them. Jessie is so unbelievably annoying — and that's just when he takes his shirt off. Why didn't they evict him? Jessie's profession is a body builder. I asked him why he flexes all the time, and he said you have to do it in order to stay trained. Jessie is a very, very sweet individual. If he's on your side, he will go to bat for you. He probably campaigned against me, but that's fine. It's part of the game. When he gets out, he may regret how he is being portrayed. But Jessie isn't the only one who walks around with his shirt off. Dan had his shirt off, too! What are your thoughts about Jerry? Jerry is a very sweet man. When Jerry came into the house, he didn't realize how strong-minded we all were. Jerry got lost in the mix. He's obviously a floater. He's listening but not playing. It's funny; at the very beginning, the house as a whole talked about who would leave, and Jerry and Renny were in the mix. But people started to play with their emotions, and those two went by the wayside. Jerry and Renny have been in the game a lot longer than I expected. Who do you think is the biggest threat left in the house? As much as I hate to say it, Libra is a very strong player. She has a good way of manipulating and bullying her way through the house. Michelle has a good shot; she's a pretty good threat because she is physically and mentally strong. Who do you think are the house idiots? I'm happy to say Libra and April are. Keesha, as well. She's playing on her word but unfortunately, on Big Brother, your word can only go so far. You have to tell a couple of white lies. (At this point, a CBS publicist informs Angie that April won last night's HOH competition). Oh God! Jessie and Michelle will certainly go up on the block. If one wins POV, that person will be replaced by Memphis. I'm tearing up now. I'm starting to get emotional again. What do you think of the April-Ollie showmance? Good find, Will. Again, this interview did not do anything to make me dislike her. I still like Angie and wish she was still in the house. 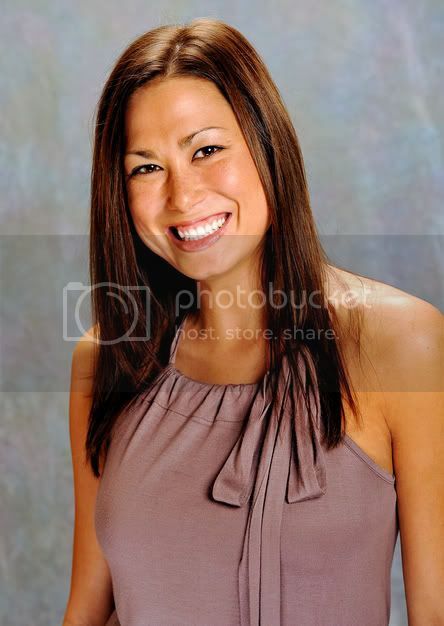 Much like Steven before her, Angie Swindell had her time in the Big Brother 10 house cut short because of her friendship with house mastermind Brian. Though she joined an alliance to oppose the powers that be (Libra, April and Ollie), the new team's inability to win head of household or power of veto sealed her fate. We caught up with her to chat about why she didn't lobby to stay and whether or not anyone can stop Libra before it's too late. TVGuide.com: So I can't say that this eviction was much of a shock. Angie: Yeah, I definitely had a feeling it was coming, even before the nomination ceremony took place. You always have your hope that the plan to have Dan and Libra go up after the conversations Memphis and Jessie had with Keesha would happen, but you kind of have to take things for what they are. So, when my key wasn't pulled, it wasn't a big surprise. At that point I knew I was going home, so I was just trying to strategize in my mind what I could possibly do in order to survive. TVGuide.com: We didn't see you fight or lobby very hard. Were you just hoping Jessie would self-destruct? Angie: I think that I lobbied a little more than what was maybe shown on TV. My approach to the whole game was the "lay low, plant seeds" strategy to let other people do the bidding and get targets on their back when it came down to things. So, I was hoping that if I did lay low, Jessie would self-destruct because he was already paranoid that everyone was going to vote against him. If he digs his own grave with me not causing any drama, it would have been much better for me staying in the house than If I had tried to lobby or be more forceful, giving them more fire to want to get me out. Unfortunately in the house this season, there are not a lot of people playing with common sense and rationale — they're playing emotionally rather than strategically. TVGuide.com: Those emotions are still linked back to Brian, who told us that he warned you and Steven to stick together. Do you think if you had listened, you'd still be in the house? Angie: Hindsight is 20/20. If I could go back, I would take back being a part of that whole mob mentality that stormed Jerry's room and told him to put Brian on the block. Getting to know Brian that first week, I realized that he was somebody with a mind like me, as far as gameplay goes. He told both Steven and I that we really needed to stick together. Unfortunately what Brian didn't know was that I had already pledged my alliance to other people in the house. And after the backlash of me trying to campaign for Brian the last night before he got evicted, it was sink or swim. If I tried to save Steven that week, I'd have been in the same situation that I'm in now. I wish I could change those things, because if Brian and Steven were still in the game, it'd be a completely different story. TVGuide.com: Where do you see the Memphis, Jessie and Michelle alliance going now? Will they be able to oppose the rest of the house? Angie: I absolutely think it's going to play out the same way it has played out the last three weeks. I just found out that April won HOH, and it's very sad for me because I really want Memphis, Michelle and Jessie to make it far in the game. For me in the game, if we were going to make a line in the sand, I wanted to make a line in the sand and let everyone know about it. Let's play, celebrate and not do any of this sneaky stuff. They’d have to be complete idiots to think that the rest of the house doesn't know we're aligned. So, with April winning HOH, they're naturally going to be the targets because they hung out with me, the last remnants of the Brian situation. TVGuide.com: Well, Dan is still hanging around. Do you think he's removed the target on his back? Angie: Unfortunately for me, my target was bigger than Dan's. People seem to forget things they want to forget and stay on things they can't seem to forget. I think Dan will do well if he continues to lay low and include himself in the strategy sessions they have going on. TVGuide.com: How will his being America's Player figure into that? Angie: It will be hilarious. I think Dan was the perfect houseguest for that to happen to. Dan's a floater, and he knows how to use his charisma and flattery to be perceived the way he wants to. TVGuide.com: Is there anyone in the house who can oppose Libra, April and Olie? Angie: I'm hoping after this week, whoever is left out of Memphis, Michelle and Jessie can get into power and put up Libra and April. 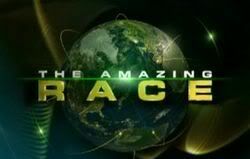 Then their alliance will have to choose who to send home, and I have a feeling it will be Libra. When she's gone, I have a feeling the house will change completely. TVGuide.com: What if they can't get Libra out? When will it be too late to stop her? Angie: If Libra makes it three more weeks, she has a very good chance of bringing home the money. It's sad for me to say it, but she has been able to play the game the way the house needs it to be played and bully people into doing her bidding and getting out the people she wants out. That said, I'm really hoping Memphis and Michelle can bring it home.